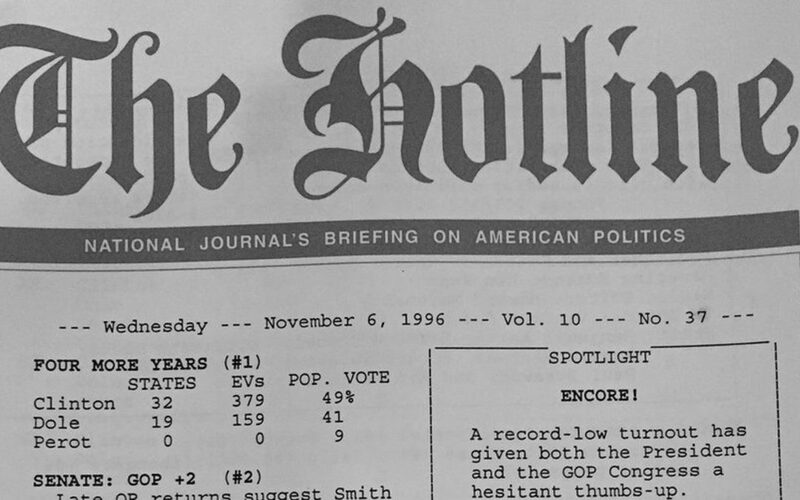 The political tipsheet: What started with The Hotline (which was launched in 1987 and arrived every morning via fax) has exploded into a big business of sources, nuggets, sightings and exclusives. State of the Screens – Produced by Michael Beach of Cross Screen Media, this email is out every Sunday. Sign up HERE. Reliable Sources – This newsletter usually comes out in the evening. It’s an extension of Brian Stelter’s insightful reporting on the media for CNN. Sign up HERE. Axios Media Trends – Sara Fischer reports on trends impacting digital media. Sign up HERE. The Intersection – Patrick Ruffini of Echelon Insights produces this regular newsletter about what’s new and interesting at the crossroads of polling, data and technology. Sign up HERE.